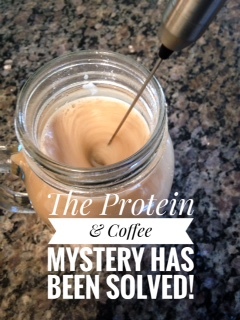 The Honest Dietitian: The protein powder and coffee mystery has been solved! 1. 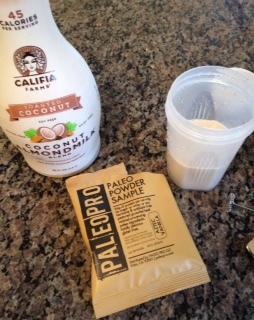 I mixed 1/2 a cup of coconut almond milk with 1/2 a scoop of PaleoPro Aztec Vanilla protein powder (which if you didn't know...this stuff is just incredible). I put them together in my shaker cup and shook away. 3. 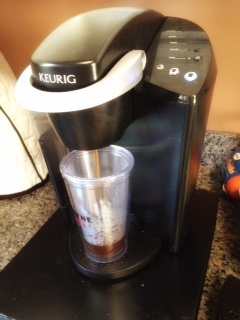 Next, I poured the mini protein shake into the coffee. Here is where the tricky part is...usually this is where the heat would cause the protein powder or protein shake contents to start separating into clumps to give a grainy taste...BUT!!!! 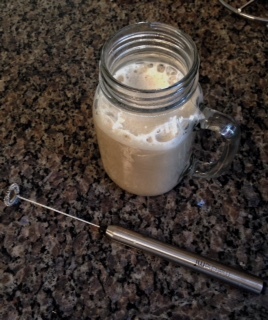 I used my milk frother that I just got the other day to mix it together and IT WORKED! 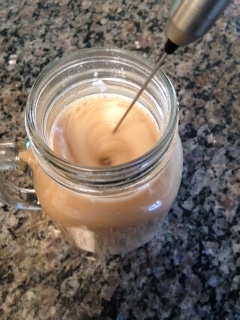 No clumps, no lumps, just smooth and delicious hot coffee with 13.5 grams of protein. Since I do have some barista experience, I was able to froth it up for a latte type consistency too. It was delicious! 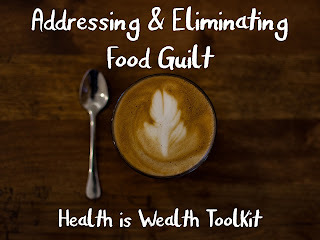 I'm sure you can play around with different flavors, but this one worked for me.